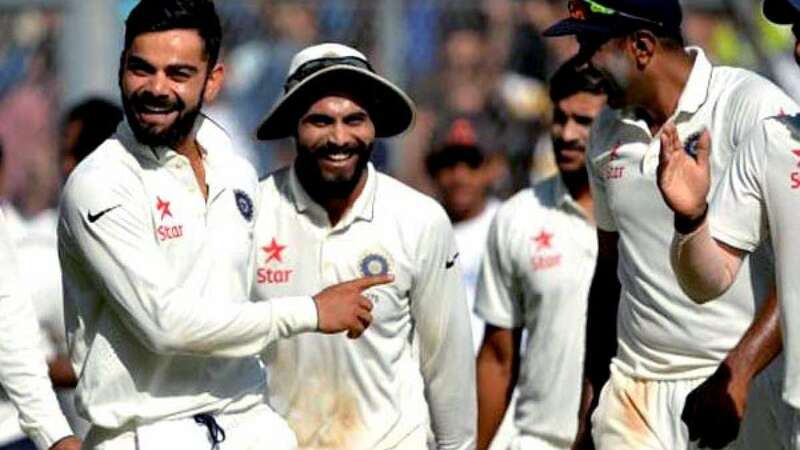 Mumbai : India on final day of the fourth Test match stunned England to clinch victory by an inning and 36 runs, with this men in blue have taken an unassailable 3-0 lead in the five-Test series. Team India removed remaining four England wickets in the morning after the guests resumed their second innings from 182 for 6. Indian skipper Virat Kohli dubbed this victory as one of the sweetest in the recent times. "It's a very special feeling. The way the crowd came out here and supported it helped us push through the tough moments. I'm very grateful that it came off for us. This series win is probably the sweetest we've had in recent times," said Kohli. Off spinner R Ashwin did a brilliant job with the ball as he scalped his 24th five wicket haul and seventh 10-wicket haul to ensure India's victory. Ashwin was the pick of the bowlers for the hosts as he bagged six wickets in the second innings to end with the match figures of 12/167. He also becomes the second-highest in the list of most 10-fors by an Indian in Tests behind legendary cricketer and current head coach Anil Kumble. India and England will now play their last Test match in Chennai from December 16, 2016. England 2nd innings: 195 all out in 55.3 overs (Joe Root 77; R Ashwin 6/55).